As an adviser, the IP will inform the debtor of all the solutions available, which usually include re-mortgaging the home, consolidating debts into a loan, debt management, bankruptcy, and IVA. 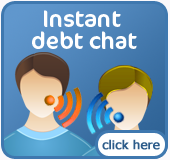 The adviser will look at your specific circumstances and your level of debt to advise the best solution. The IP will act as a Chairman and will hold a meeting with the creditors and negotiate with you and the creditors to approve the proposal. Often the creditors will ask for changes to the proposal at the meeting. 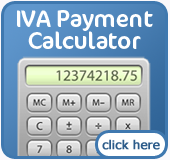 One of the common modifications put forth by the banks is to include restrictions on your right to obtain credit, ensuring payments increase if the your income increases, specifying a minimum return 40 pence for every pound, and insisting that the Supervisor fails the IVA if you miss three or more payments. If the creditors approve the IVA, then the IP will become the Supervisor of the IVA. In this roll, the IP will have to report annually to the creditors, the court and to you. It will also involve monitoring you to ensure that you are complying with the terms of the arrangement, agreeing creditor claims, making payments to them, and generally ensuring that you are staying in accordance with the terms of the proposal. You will have to comply with all reasonable requests to the Supervisor, which could include periodically providing bank statements, wage slips, and account information.